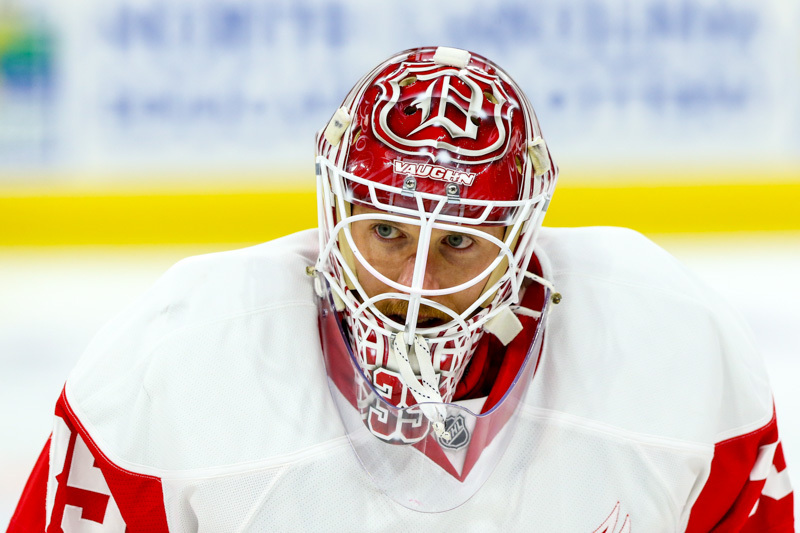 Jimmy Howard is among the Red Wings players looking to rebound after an up and down year. Next month, the Detroit Red Wings travel to Traverse City to begin a new season and to attend training camp in preparation for the upcoming NHL season. New coach Jeff Blashill affords the team an opportunity to start with a fresh attitude looking to build off the team’s close Stanley Cup playoff series loss to the Tampa Bay Lightning. As training camp begins, there are a few players who will not take this opportunity for granted after varying degrees of disappointing seasons last year. Let’s take a look at the top five Detroit Red Wings players with something to prove this season. Now with the Red Wings on a one-way contract, Teemu Pulkkinen is hoping to establish himself as a regular in Detroit’s lineup. In 31 games last year, Pulkkinen only registered eight points, leaving much to be desired considering his AHL statistics. As one of the Red Wings’ top prospects, there are high expectations for the right-handed sniper heading into the season with his AHL coach now leading the Red Wings. With Mike Babcock now gone, Jakub Kindl is looking to prove his worth, $2.4 million to be exact, as a contributing member of the Red Wings’ blue line. Often watching from the stands last year, Kindl will now have the opportunity to start fresh from camp this year and show why he was considered and eventually selected as a first round draft pick. He will need to prove that his competency in the defensive zone can match his offensive contributions. Let’s put it this way: last year was not Tomas Jurco’s best season. In a bottom-six role, Jurco only managed to light the lamp three times, prompting some to question whether more AHL seasoning was in his best interests. Jurco’s talent is undeniable, often finding time on the Red Wings’ second power play unit. It was on the power play that he scored his only playoff goal, having a Pavel Datsyuk snipe deflect off his inner thigh. As with most of the Red Wings, Jurco is looking to take advantage of his familiarity with Blashill’s systems heading into his pivotal third season in the NHL. Those whose significant other left them for a new, younger, more attractive option can definitely relate to Jimmy Howard’s 2014-15 campaign. Everything was going well until that fateful night in Washington DC, when Howard injured his groin against the Capitals and watched Petr Mrazek steal that spotlight in the second half of the season. Not to be forgotten, Howard was having a fantastic season to that point, having been named to the All-Star team the afternoon before his injury. Mrazek performed well down the stretch and earned the starting job for the playoffs. 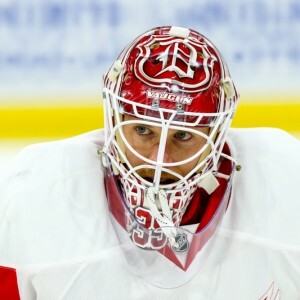 Now, Howard is eying his old job as the Red Wings’ undisputed starting goaltender. This will likely be the main focus of attention heading into the new season. Hockey players are inherently competitive and it is certain that these five will come into camp raring to go. That’s all they can control with regard to their standing. The rest will be determined in one of the more exciting training camps in recent history.